Product design is the Australian YouBeaut Design team’s main occupation. We love it! Our working background is in book publishing. The print-on-demand phenomena of recent times arrived just a few years into what is now being called ‘the third industrial revolution’. It is variously called revolutionary or disruptive, depending on ones point of view. There is no doubt it is a vehicle for social change. Whatever we think about new and different ways of doing things, one thing is certain; creativity can now be expressed in a way that lets the whole world view what we create, be it via images or words. We are all on show now if we choose to be. Enjoy it while you can. Who knows what comes next? Pictured below is Matilda who lives near us. Click on the image to view her on more than fifty different products. 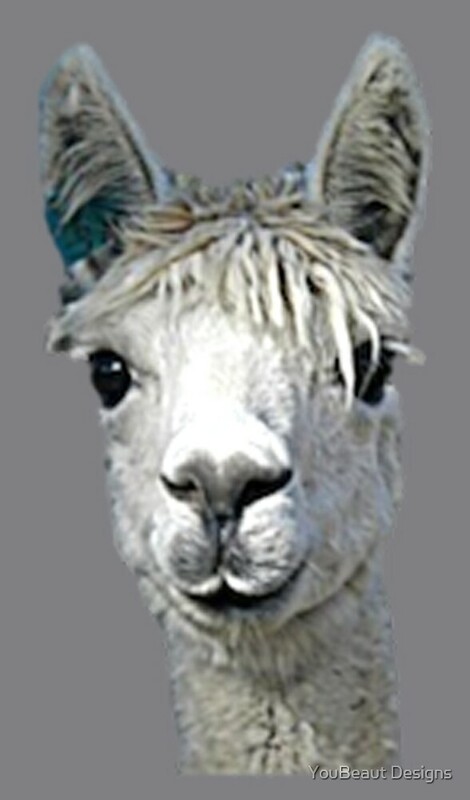 Alpacas are different to many domesticated animals. They share some of the amusing traits of an intelligent being along with some of the attributes usually credited to dogs, cats, goats, horses, and even parrots. The Alpaca in this delightful picture was photographed looking over a fence in central Victoria in south-eastern Australia.